Would This Be Causing My Acne? Every morning I wake up..
1)Wash my face with dial bar soap with warm water. 3)Rinse it with cold water. 4)Finish it off with an oxy pad. Ps...I also do that every night in the shower. Never wash your face with soap. Its very drying and strips the face of all the oils which will make your body produce way more. Also some oxy products can be a bit harsh so it could be that to. But definitely stop with the soap. Are you washing your face 2x? Yes, dry skin can also break out and get allergic reactions. Dry skin can crack, flake, peel, sending your skin into overdrive to produce more oil that your stripping from your skin. Skin needs moisture to build a healthy defense against bacteria and infections that can lead to more acne and skin reactions. Washing your face with Cetaphil should be efficient enough. You should add a light lotion in your routine that is acne friendly also. repeat step 2 at night before you go to bed. TOT, one of the most valuable lessons I've learned in my 12 years of suffering with acne is LESS IS MORE. The more I wash and slather my skin with acne products, the drier and more broken out my skin becomes.. then I have the added bonus of it being nearly impossible to cover with makeup because it's cracked and scaled. For me, even Cetaphil is too drying. My skin has looked the best when I've washed my face with just cold water and applied Emu oil at night (even if you have oily skin like me this works wonders..I know, it seems backwards to add oil to oily skin, but trust me). It's like my skin finds it's equilibrium again. It's worth a try! @The uphill battle: I will take that into suggestion. Thanks. T0T, drying your face out makes your skin less protected, but the chemicals counter this by also destroying the food in your pores and also the organisms on your skin. 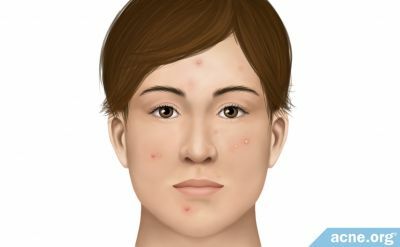 The main culprit for the acne is the food that is being excreted through your facial pores and feeding the organisms that then overpopulate in your pores and infect it. I would pay more attention to what and how you're feeding the unwanted visitors of your face.